Known as the “dream stone,” Moonstone amplifies lucid dreaming, intuition, psychic perceptions, and harmonizes its wearer with the Universe. 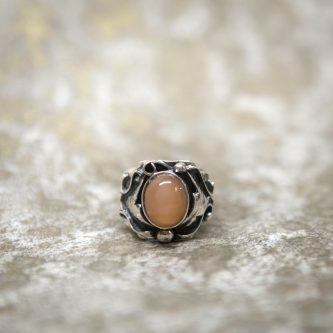 It is believed that at the full moon, the moonlight amplifies this stone in such a way that the stone’s wearer can perceive the future. Moonstone supports flexibility with life’s events and helps the wearer handle personal emotions better, thus preventing feelings of overwhelm and worry. It soothes anxiety, stress, and general fear.